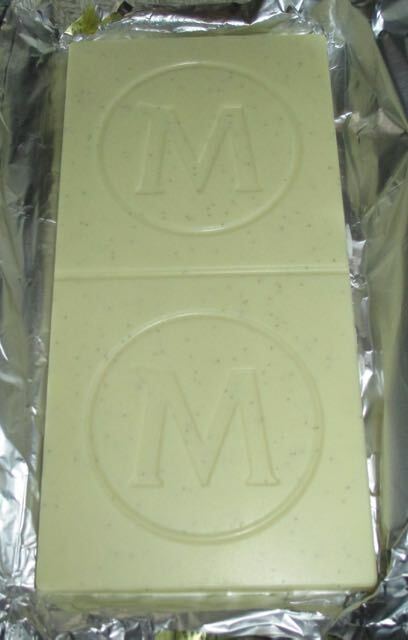 A white chocolate bar to savour for my pudding washed down with my favourite white chocolate hot chocolate drink. This is a fairly regular occurrence, nothing new here. 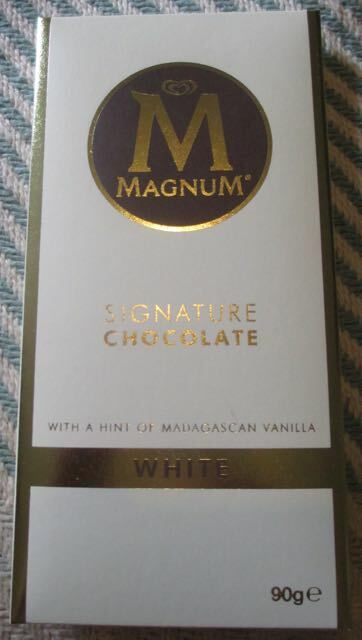 Having said that I hadn’t heard of Magnum Signature White Chocolate with a hint of Madagascan Vanilla made by an ice cream company before. So yes, the bar is new, but how does it bear up to the other white chocolate bars I eat regularly for pudding? 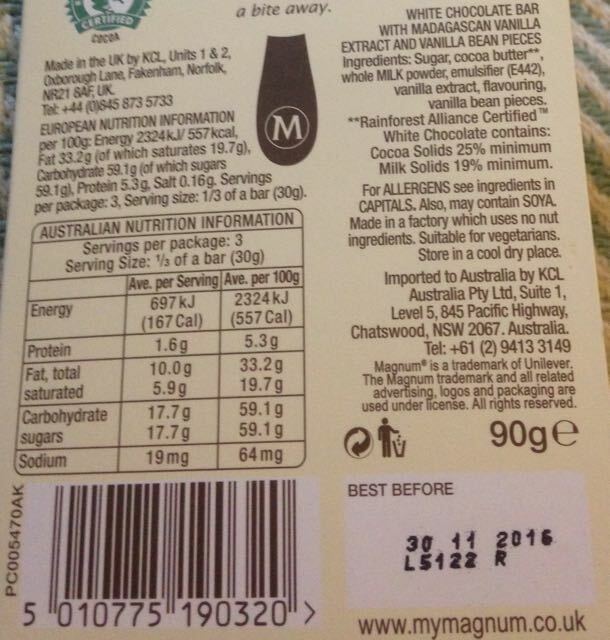 Never mind the posh cardboard outer and the gold foil inner; I wanted to see the chocolate bar. This looks and sounds delicious! I'll definitely be keeping an eye for this at my local Home Bargains! Can I ask which white hot chocolate you use? I've been trying to find a good one!